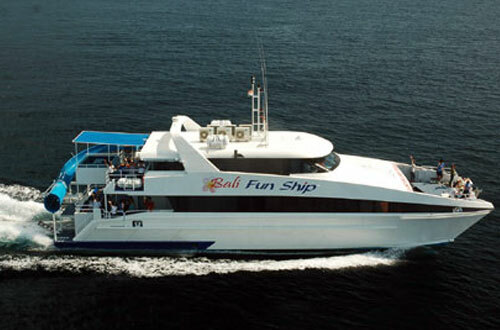 2017Bali Fun Ship” is a 26m fast catamaran with a capacity of 150 passengers. 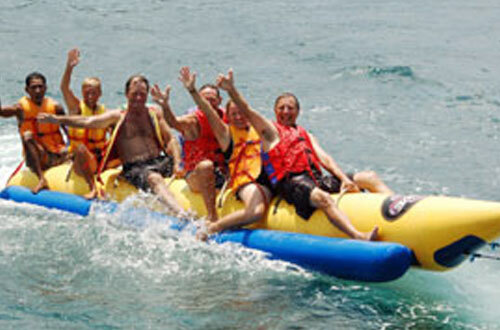 The only boat with a “jacuzzi” and a water slide from the top deck straight into the water SPECIAL OFFER with us only…..
“Bali Fun Ship” is a 26m fast catamaran with a capacity of 150 passengers. The only boat with a “jacuzzi” and a water slide from the top deck straight into the water. 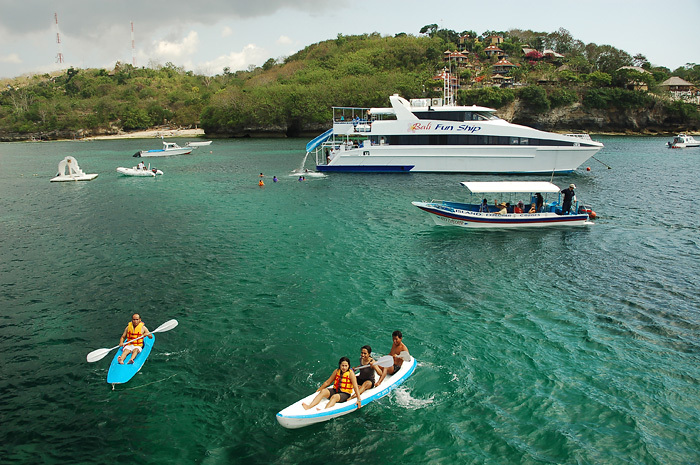 Departing from Benoa Harbour, the crossing time only 40 minutes to Lembongan Island. 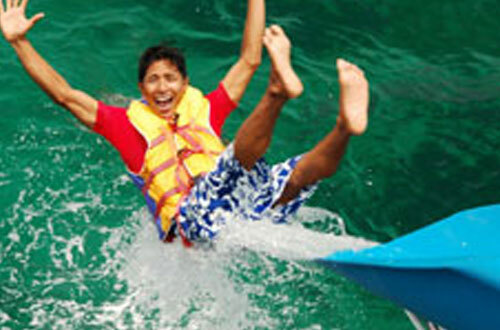 Be adventurous on a truly FUN SHIP. 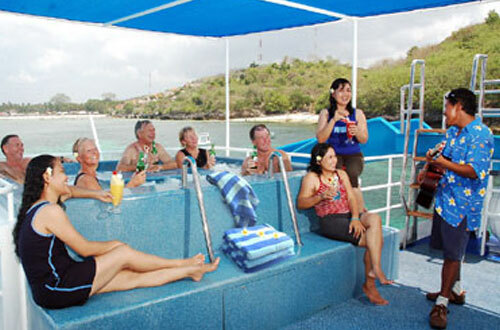 Enjoy your morning tea, coffee and FREE soft drinks with some refreshments (beers and wines at reasonable prices) .The fun continues as you arrive on Lembongan Island where you have a great BBQ buffet lunch on board with crisp salads, and join all water activities. Sun Lotion ………………………. sun shines very bright on Lembongan island. wear sun lotion to protect you skin. 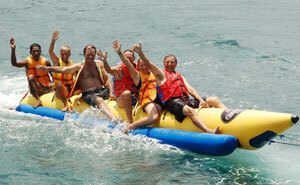 Swimming Suit ………………….. you will spend most of your time on lembongan island enjoying water activities.